Basic SEO know-how, best practices and practical tips. 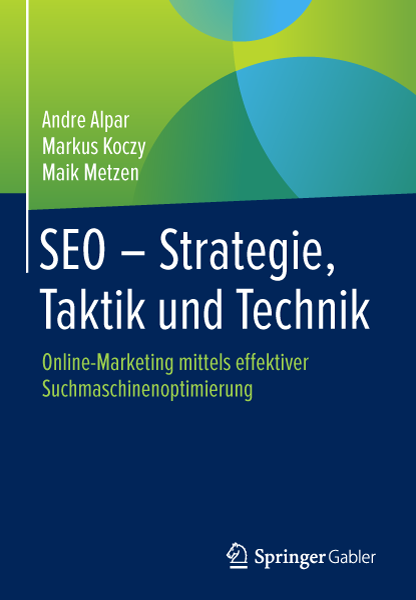 Alpar/Koczy/Metzen show how opportunities arise from search engine optimisation and which business processes and workflows need to be created in order to successfully implement SEO. In addition to on-page and off-page optimisation, they focus on process optimisation and international search engines optimisation. A learning and reference work for experts and marketing managers. 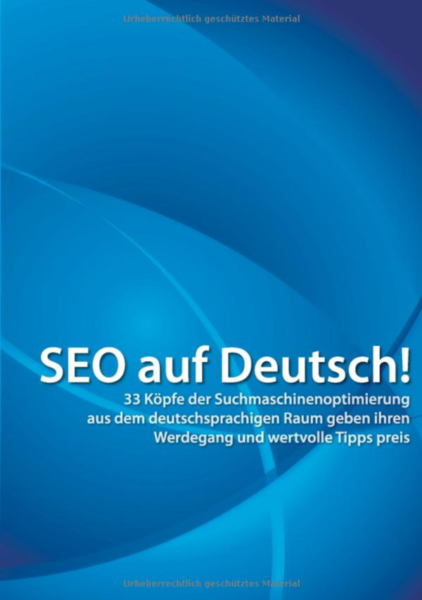 33 experts of search engine optimization from German-speaking countires reveal valuable career tips. SEO, SEM, location-based marketing, reputation management, web controlling, usability… finding your way around the ever-growing jungle of online marketing is a constant challenge even for professionals. 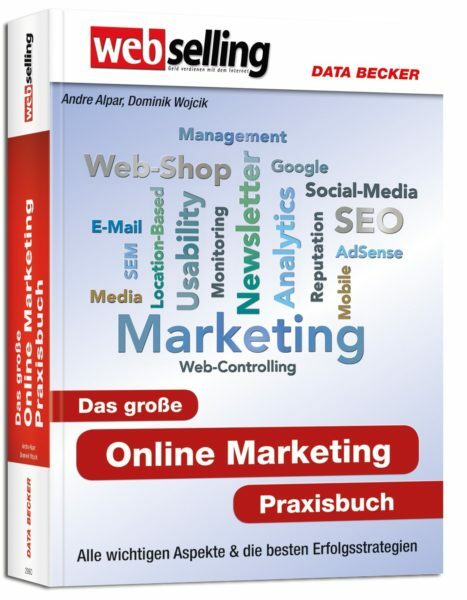 The Big Online Marketing Practice Book helps you succesfully navigate the forests of analyses, tools, and strategies and use them effectively for your company’s online marketing—so you can make your website more visible and win new customers and business partners yourself!